Action: Wide street with 5-arch pailou, with on the sides shops with ornate fronts, passenger carts and pedestrians. 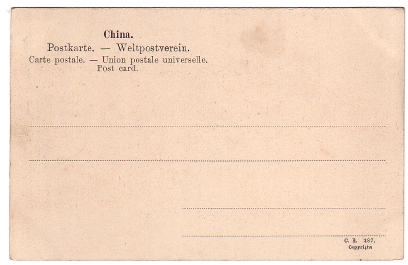 At the rear, city wall and gate, the latter with top part missing. Heavy traffic in the gateway. 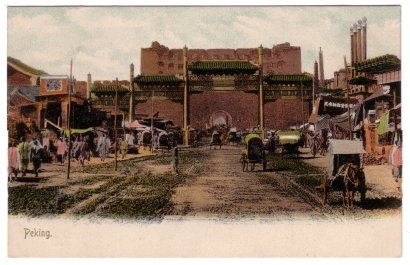 Image Particulars: Qian gate was badly damaged during the Siege of the Legations of July-August 1900.